Not only are herbs great in the kitchen but they are also easy plants to grow! Starting an herb garden is an awesome way for beginner gardeners to start growing their own produce! While there are tons of different herbs one can grow, these are a variety of herbs that may be more helpful for a new gardener. 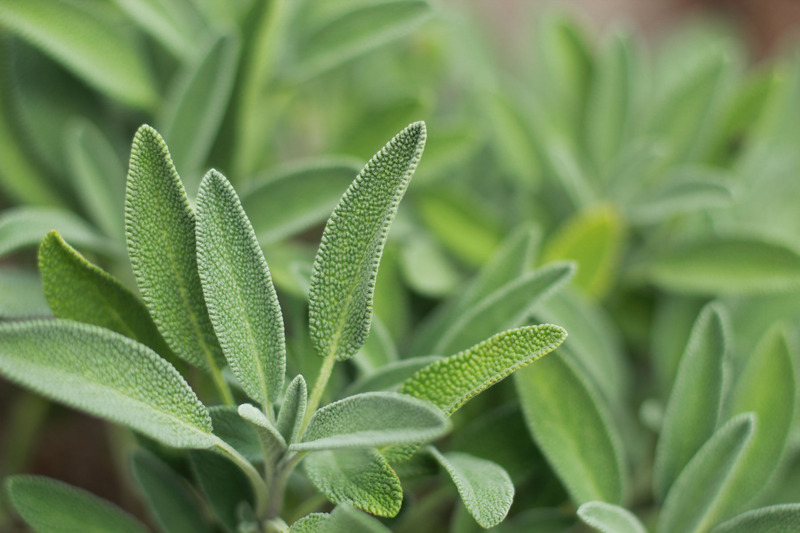 Sage is an excellent herb to cook with and its surprisingly easy to grow! The only thing it doesn’t like is wet ground, so be sure to plant somewhere sunny with well drained fertile soil! Good news, there are so many varieties of sage to choose from, some even have colored leaves! To encourage the sage to grow, you should harvest the leaves regularly. 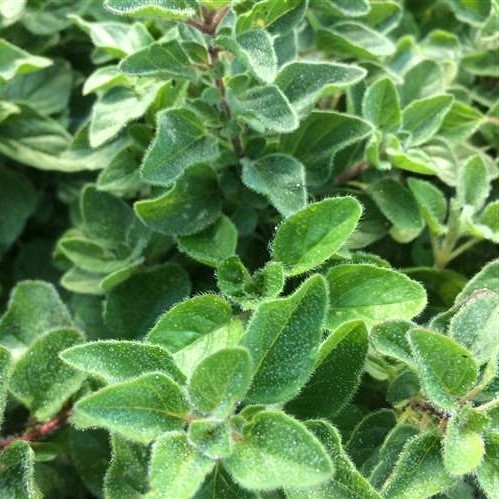 Oregano plants like light soils and tend to thrive in more warm, sunny spots. They also have cute pink flowers and can make for a great ground cover at the front of borders. It is best to sow these seeds in the spring when the soil has just warmed up, or start them off indoors! Once the plants reach 10 cm tall, pinch out the vertical growing tips to encourage more leafy side shoots. Parsley has oh so many uses in the kitchen! It helps to give seeds a bit of a head start by sowing them indoors on a windowsill with plenty of sunlight. Another option is to sow directly in the ground once the soil warms up. It can be slow to germinate, to speed things up, soak the seeds in water overnight before planing. Be sure to choose a spot with rich, slightly damp soil in partial shade or full sun. 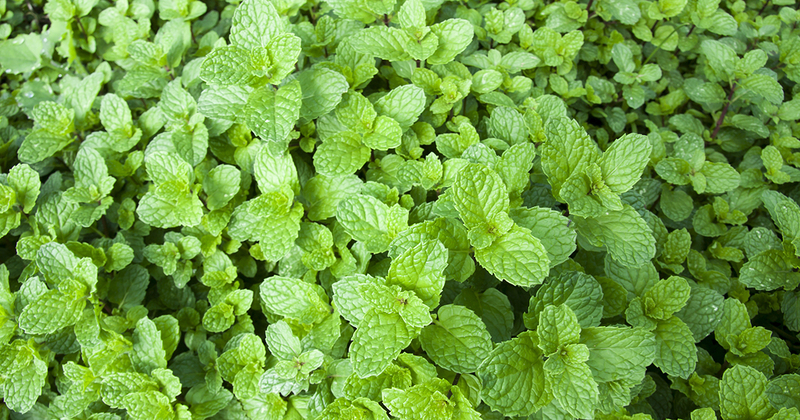 Mint can be grown from a seed but it is typically different than the parent plant, so we would advise buying the young plants rather than using seeds. Keep in mind, and spreads quickly, so plant in pots to contain the roots to stop it from taking over. Keep it in full sun or partial shade and be sure to pinch out any flower buds to encourage more leaf growth. Good news, rosemary is one of the easiest herbs to grow, because it is so hardy. 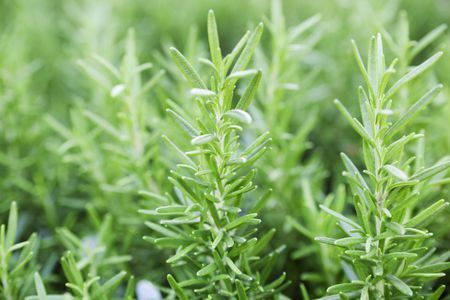 Loving sun or shade, rosemary will grow in any soil, as long as the soil is not too wet. Rosemary grows quickly and vigorously and can be trimmed in June or so, to keep it in shape and stop it from getting too woody. Talk about a versatile herb for the kitchen! 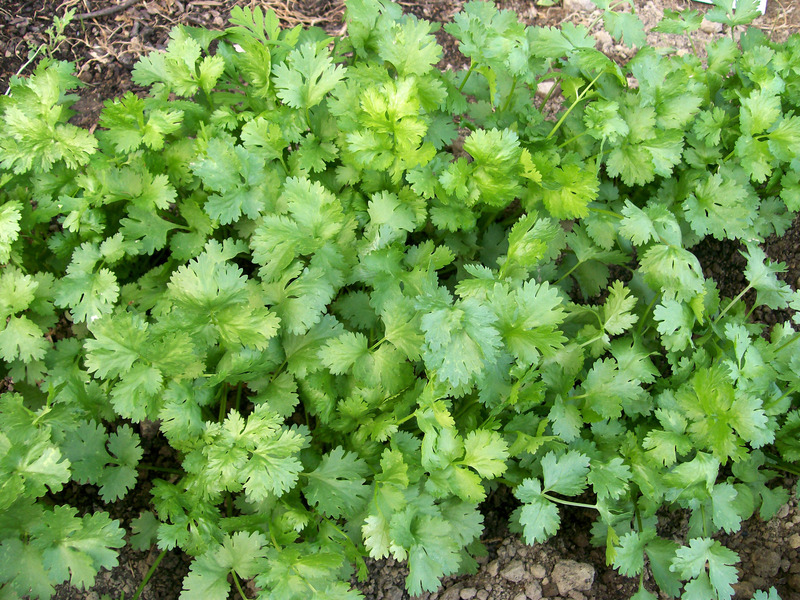 Coriander grows well in the ground or containers. Seeds can take weeks to germinate, the plants are somewhat short – lived, so be sure to sow a few seeds every few weeks for a continuous supply. 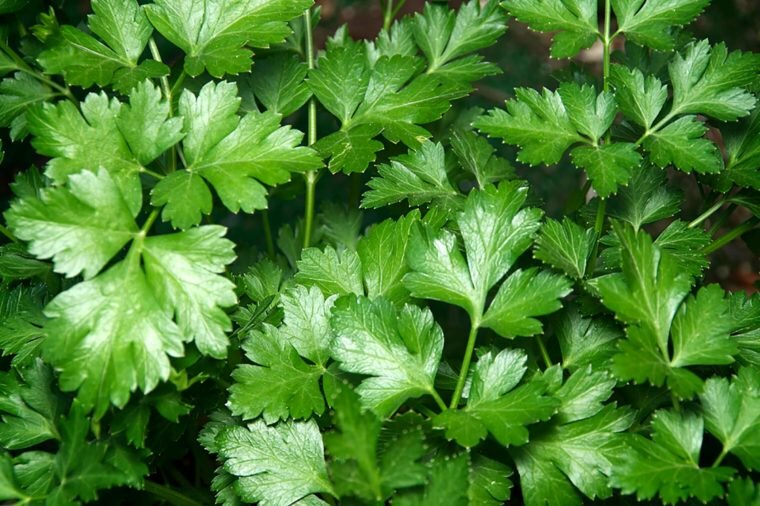 When stressed, Coriander can ‘bolt’ meaning it produces flowers and seeds, rather than tasty leaves. Keeping Coriander well watered and harvesting it regularly will yield the best results. 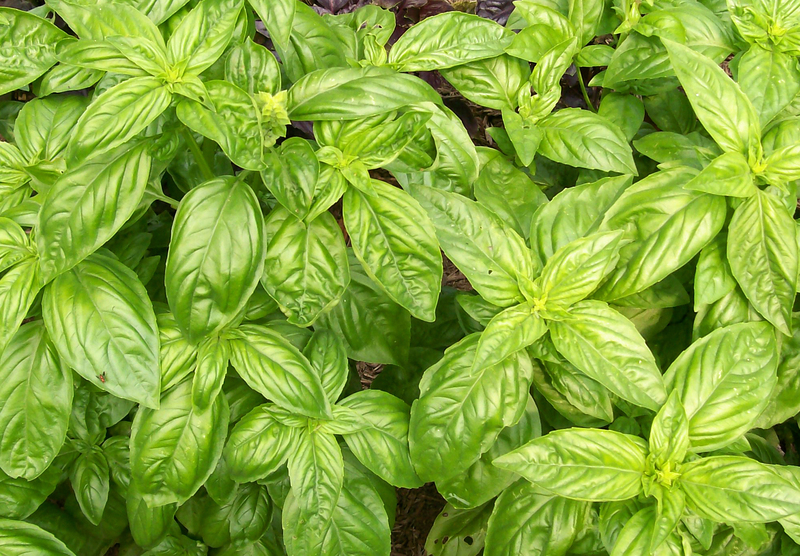 Basil happens to be one of the most popular herbs, being that its so tasty and versatile. Sow the seeds into potting compost on a sunny windowsill from March on. For bushier growth, remove the growing tip when the plants are 15cm high. Plant basil out in the garden when the weather becomes warmer. A sheltered spot with full sun is where basil grows best. Last but not least, chives are a relative of the onion family. Chives have pointed, slender leaves and also produce fuzzy globe flowers in a purple or pink color. Sow chive seeds directly in the ground during March or April. 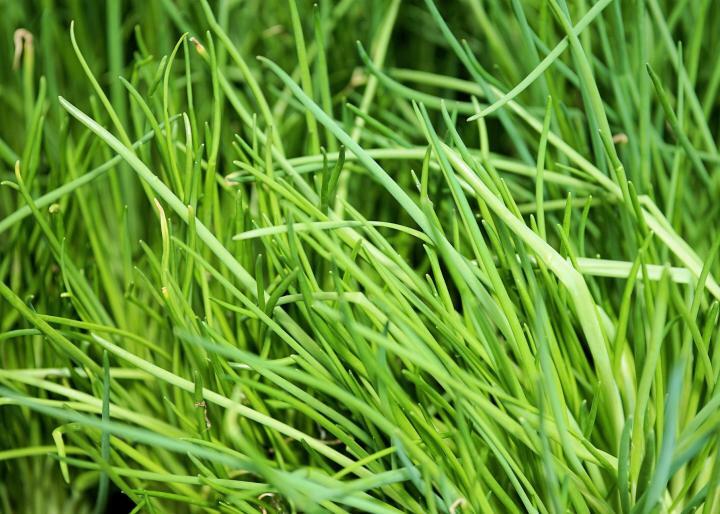 Chives tend to grow best in a sunny spot with rich moist soil, so be sure tp keep them well watered! Fall is the perfect time to plant perennials, shrubs and trees. While many mistakenly think the upcoming winter will be too harsh on a new plant, it actually provides the plant time to develop a strong root system – which is the most important thing for any new plant. The soil here in Indiana will stay warm enough into the early winter to provide ample conditions for your plant to grow and the benefits of the fall rain help the roots spread out. Giving your plant time to establish a healthy root system before the hot, dry conditions of the summer make fall planting the ideal time for your shrubs, perennials and trees. 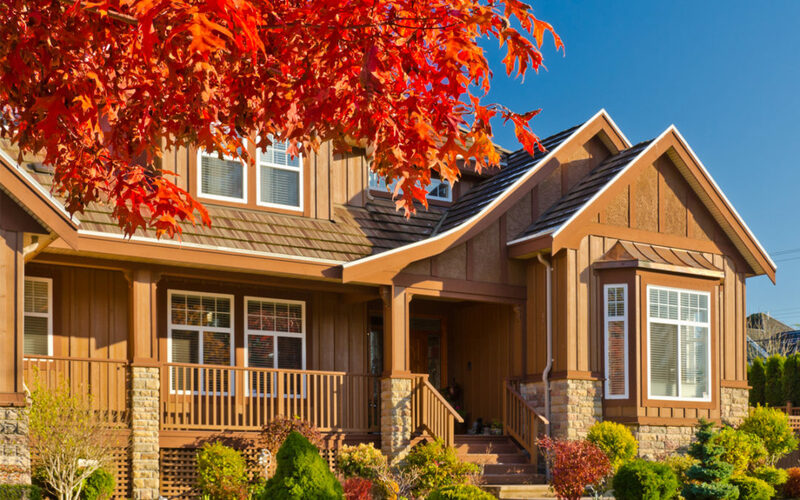 When planting, many of the same tips we brought to you last fall in our blog “5 Tips to Buying and Planting a Tree in Indiana this Fall,” will apply to your shrubs and perennials. Be sure not to dig your hole too deep, but provide enough space for the roots to spread out by digging the hole typically two-times as wide as the root ball. Be careful not to over-water and you might consider root stimulator and plant starter. Stop in and let one of our expert staff help you pick the right plant for your home as well as the best solutions for keeping your new plant healthy. Tillandsia, commonly referred to as air plants, is the largest genus in the bromeliad family. They are found from jungle to rain forest to arid desert environments and from sea level to high mountain regions. 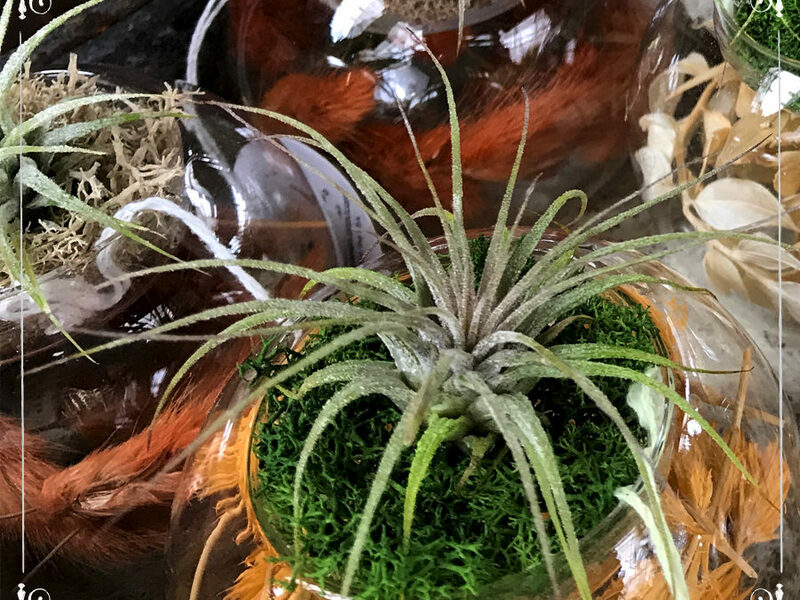 Air plants are a hot trend right now for people who want a plant to enjoy in their indoor space, or office – and they also make great gifts. Not only are the plants themselves unusual and interesting, but you can use your imagination to mount these plants creatively, or place in a container. Air plants can be found naturally in many different regions and climates, but they also make a great indoor plant because they grow without soil and do not require a lot of maintenance. However, while these are generally low-maintenance plants, there are certain rules to follow in order for your air plant to survive. Tip 1: Ensuring your air plant receives adequate watering is the number one priority. When you notice the plant’s foliage begins to curl, it’s time to water. Typically, you’ll need to water your air plant once or twice a week which means submerging the plant in a bowl of water for a up to 15 minutes – the plant will only absorb the water it needs to survive. After watering, gently shake the plant to remove excess water and avoid rotting. *Pro tip: avoid using softened water due to the high salt level; instead use collected rain water or bottled water. Do not mist air plants as it does not provide enough moisture for the plant to survive and can actually kill the plant if water collects where the leaves emerge. Tip 2: These plants also require a good amount of filtered sunlight, so place them near an east-, south-, or west-facing window. And while they can withstand near freezing temperatures, they prefer temperatures in the 70’s F. While many gardeners like to place these plants in a bathroom to take advantage of the humidity, it is more important that the plants get the appropriate amount of sunlight on a regular basis. Tip 3: You can also fertilize air plants using a good liquid or water-soluble fertilizer for epiphytes, bromeliads or specifically for air plants. The fertilizers are rich in nitrogen and deliver it in a form that can be absorbed by the plant. Avoid fertilizers that have high amounts of copper, as it is toxic to bromeliads and only use the directed amount as too much fertilizer can burn air plants. 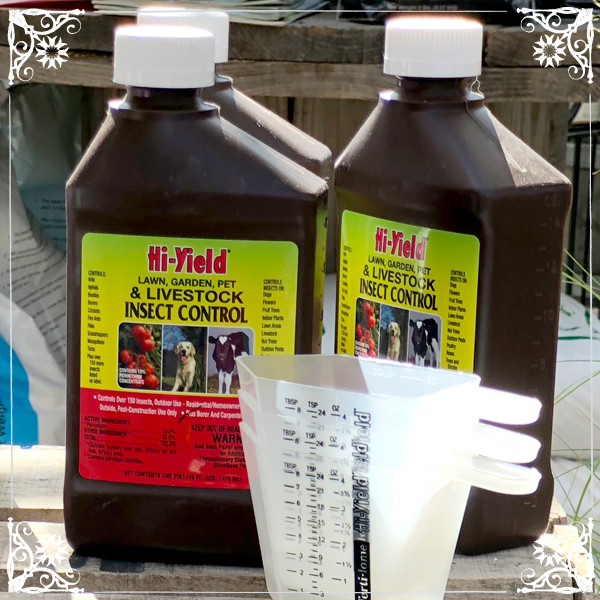 Fertilization is not absolutely necessary for survival, but will increase growth and vigor of your plants and their blooms. Tip 4: The possibilities of mounting medias for your air plants are nearly endless. Some suggestions that tend to work well are grapewood, driftwood, tree limbs, Manzanita burl, cork, clay pottery, rock or stones of any kind. Make sure the media you select does not hold water. If your media does hold water, you may be able to drill a hole through the bottom, but make sure you go all the way through and provide proper drainage. There are several different adhesives that can be used to secure your plant to the media such as Liquid Nails, low temp hot glue or E6000 glue. We recommend E6000 because it is colorless, extremely strong, water-proof and, most importantly, non-toxic to plants. If you are comfortable touching them, pick them off and place in a plastic sack. Tie up the sacks and dispose. If you aren’t comfortable picking them off by hand or there are too many to pick by hand, spraying is good option. 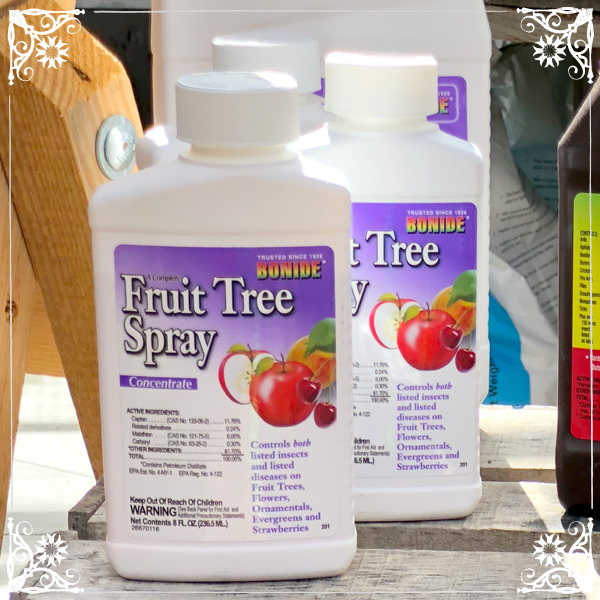 We carry many great products and the right one depends on the plant you’re treating. 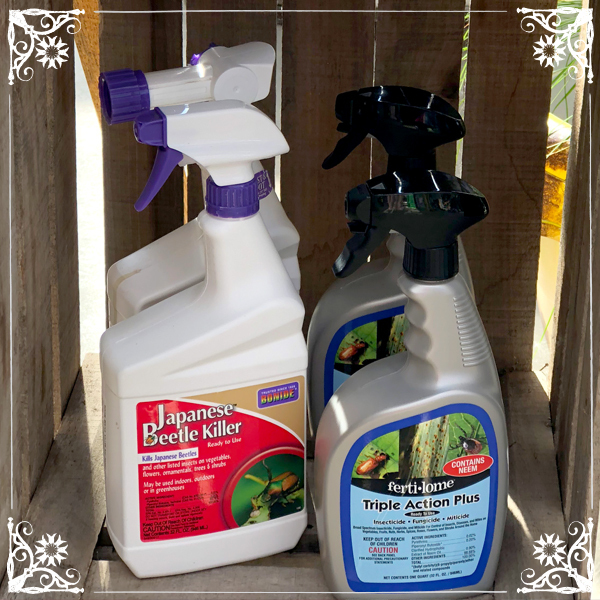 Here are a few of the recommended products: Hi-Yield 38 Plus, Ferti-lome Triple Action Plus, Natural Guard Insecticides, Bionide Japanese Beetle Killer. You will need to re-apply treatment after rain or watering plants. Pro Tip: If you want to keep the area around your plants looking clean, you may want to place a tarp or something to cover the ground underneath your plants in order to catch the beetles after they are eliminated by the spray. If you have a large area that is being affected, the best option is to trap them; however, make sure you place the trap far away from your plants and preferably downwind of the plants. 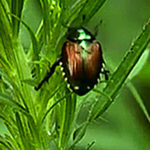 The traps come with a floral lure and a pheromone lure, which the beetles will pick up on before they get to your plants. It’s also recommend that you place the trap only a couple days per week. If you have questions about Japanese Beetles or any other type of harmful insect, stop in and talk with one of our expert customer service staff. We can help you identify the problem and help you determine the best solution to keep your plants and lawn looking beautiful. I am often surprised by how frequently a customer asks me to show them plants to will attract butterflies, but doesn’t want them to attract bees. Any insect that comes with a barbed stinger on its backside, usually isn’t the first invited guest to a picnic. I suspect most folks are concerned that they, or someone in their household, might get stung. Being stung is certainly unpleasant and somewhat painful, but did you know that when a honey bee stings anything, the action literally tears its body apart, and the bee dies? I’m sure they would prefer NOT stinging on any day. Bees ONLY sting when they feel threatened. Walking around and enjoying one’s flowers is not considered a threat to the bee. On the contrary, swatting at or sudden aggressive movements near a bee may cause it to give you a “warning” by jabbing at you with its body in flight (without actually stinging – honeybees), or by “buzzing” loudly around you (without stinging – bumble bees). By the way, male bumble bees don’t even have a stinger! This blogger thinks that bees have been given a bad rap. Bees have so many beneficial traits! Did you know they pollinate about 30% of the human food supply? Foods that include such basics as tomatoes, squash, cucumbers, fruit trees, nut trees, and even fiber like cotton, and much more! Without their pollination, many of these foods would eventually just die out. Without bees, we would have very poor quality of coffee, cocoa, cabbage, onions, tomatoes and peppers. Lemons, pears, and cashews, seeds and clover, alfalfa grown to feed livestock depend heavily on bee pollination. AND, what kind of world would it be if we didn’t have honey for our morning toast? Bees in the hive are a remarkably social organism, where every bee has her own task. Honey bees are also quite docile, and when approached slowly, one can observe them without ever wearing a bee suit. Did you know that beekeepers find it relaxing to observe their bees at the hive? Thank heavens for those guys, right? Bees are one of the most valuable pollinators in the insect kingdom and if you wish to attract butterflies only ­– planting lovely specimens to bring them into your environment ­– you should accept that bees will come too. Bees will take your pollinator garden as a great place for a “free lunch.” Your pollinator garden supports the survival of bees. Just remember that there is a way to “be around bees:” 1. No sudden movements; 2. Give them a little space when they are collecting nectar; and 3. No swatting! There are hundreds more options from which you can choose. For a look at a small pollinator garden, check out the demonstration tables in our Perennial section or stop in and ask for Suzy ­– I’d love to help you! And remember, Frazee Gardens has everything you need to get your pollinator garden started including soil, root stimulator, plants, pots, gloves, and shovels! Suzy Freeman is a long-time gardener and home beekeeper for 6 years. She has been helping customers create beautiful homes for 3 years. Her favorite plants to attract pollinators are hyssop (agastache) and coneflowers (echinacea). The bees are enjoying the perennials at Frazee Gardens during National Pollinator Week! Pollination is a vital stage in the life cycle of all flowering plants in which pollen is moved within a flower, or carried from one flower to another of the same species, which leads to fertilization. This process is necessary to ensure healthy and productive plants within a native ecosystem. 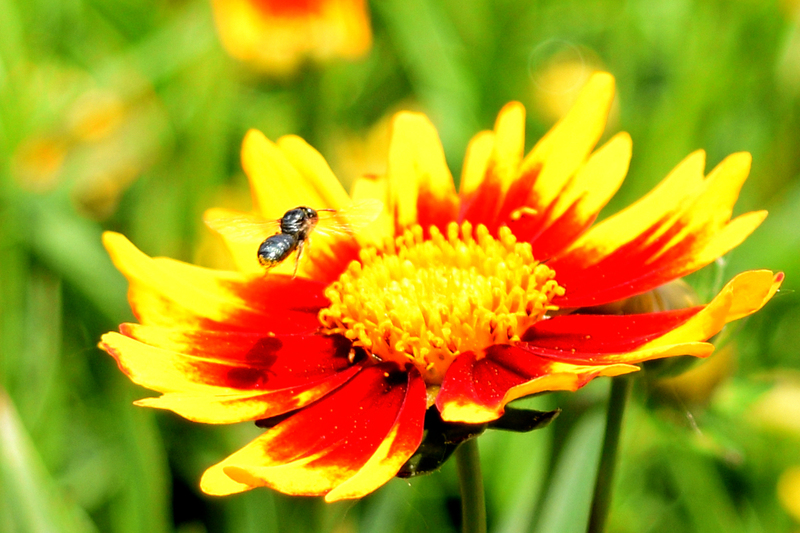 Most pollinators are beneficial insects such as flies, beetles, wasps, ants, butterflies, moths and bees. In the U.S., pollination produces nearly $20 billion worth of products each year. Frazee Gardens carries many native pollinators that you can plant and grow right here in central Indiana to help make a positive impact on pollinator health and habitats. Stop in and ask our expert staff about some of our perennials that are great for pollinators. >>Check out our Weekend Sale for a great deal on Perennials, which are great for pollinators, and much more!